Basically, a fellow colleague of mine brought me here to try out the kway chap. It was said to be fantastic. You are able to chose the items you prefer and omit those that you don't like. They serve the usual kway chap fare in additional you get to select 'fen chang' small intestines too which is not too common in other kway chap stalls. So if you love 'fen chang' small intestines you would enjoy. 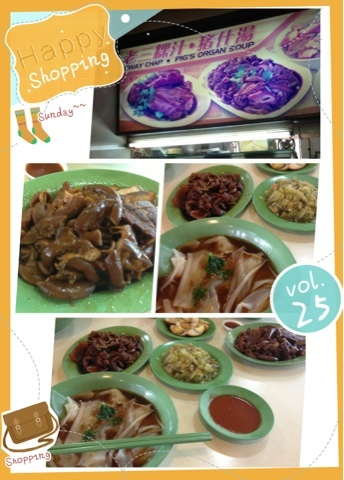 The salted vegetable is great but personally I felt that the best was actually the chili which goes with the kway chap. As usual, expect to have a queue but it's fast moving so not to worry. Pricing is average as it hugely depends on what you ordered.